The Espers that we knew were a trio from Philadelphia and provided us with the amazing Espers LP and Weed Tree EP respectively. 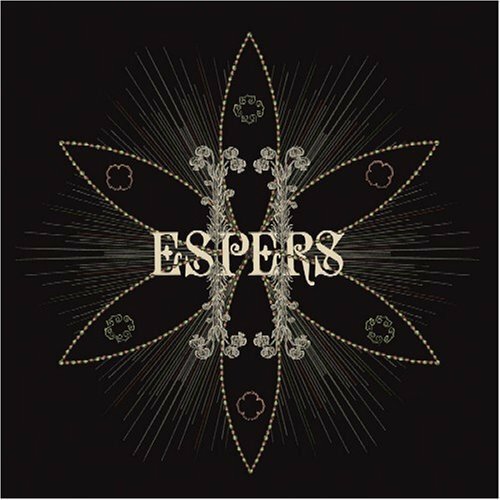 Now, upping it's members to a even six on their 2nd LP, Espers II, their sound has never sounded so lush and magical. With II, the Espers have raised the bar by successfully bridging the gap between past influences (60's British Folk-rock, Vashti Bunyan, Pentangle, The Incredible String Band) and modern sound, taking us on a much deeper and darker journey this time and it's without a doubt a blissful and moving experience. Above all, this album should be experienced and simply put, you and I may take totally different trips upon hearing it. For me, II presents itself as a journey, a simulated interstellar exploration, and at times sending the listener to that place that transcends time and space, only to be brought back on the wind of beauty that is Meg Baird's angelic voice. Below is the track Mansfield and Cyclops (the fifth cut on the album) and with it's position on the LP, it seems to break the listener for a moment with it's tight instrumental trip and the cooing of Baird's alluring vocals, preparing the listener for the next stop on the ride. It's absolutely amazing and highly recommended. Enjoy.